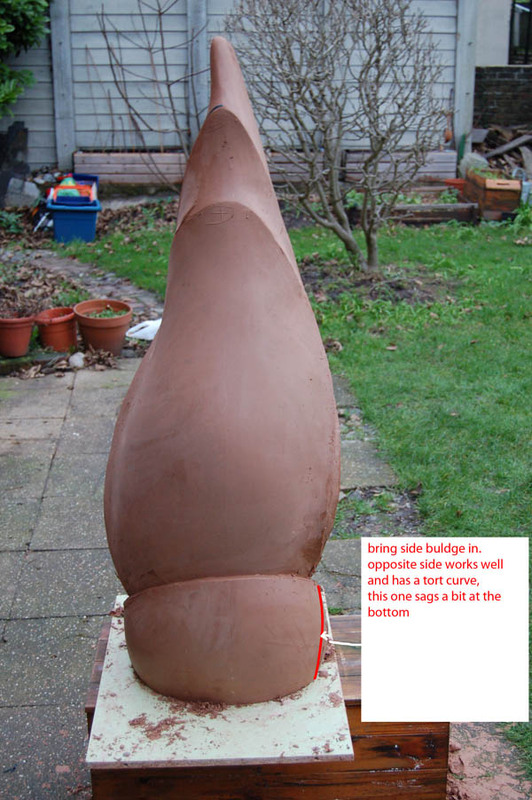 As part of our experimental plan we had two type of modelling technique trialled. 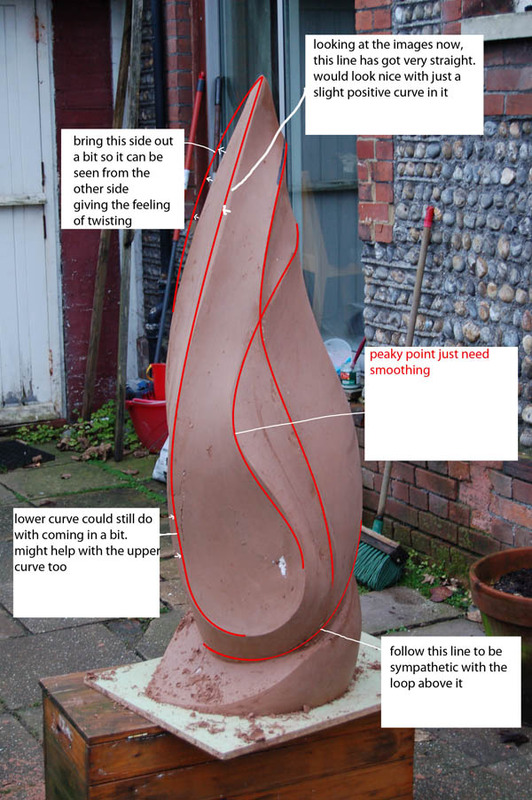 The one on Flame garden sculpture was a hand sculpted technique similar to that used in the automotive styling industry, where I had my training. 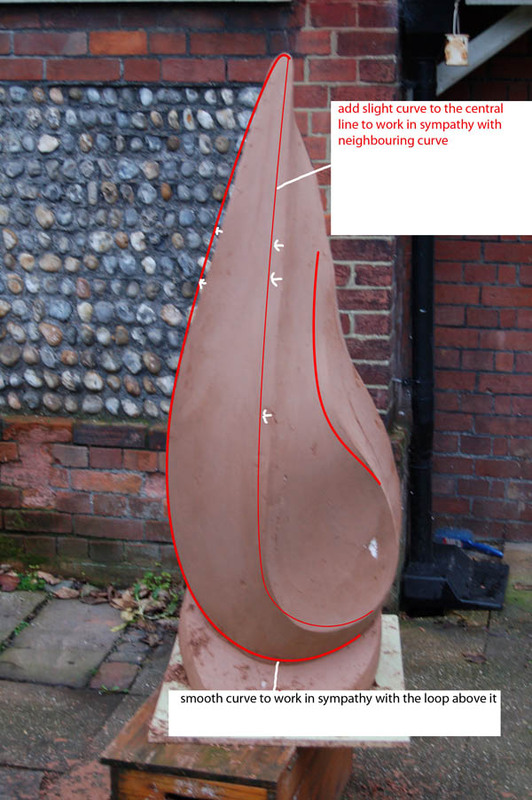 Outline drawings were created of the 3D model and then sent to the modeller for him to sculpt. The result is that the design changed slightly from 3D CAD to reality but both are resolved forms that communicate what I wanted in a stylish and elegant way. The difficulty with this technique was communicating the changes that I wanted doing and the extended time this took from abroad. 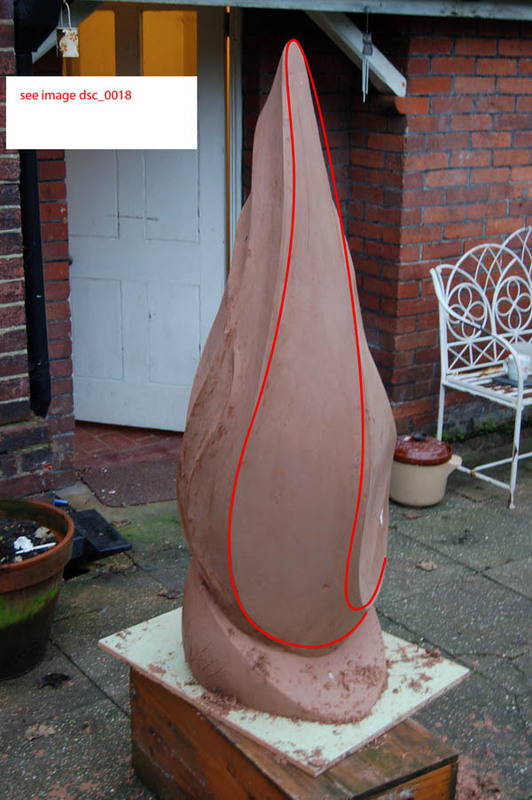 This process, although more romantic and hands on, really took an unrealistic amount of development time, especially when we had the option to just get it milled and moulded within a fortnight. In the end this technique took nearly 6 months to get a master model! 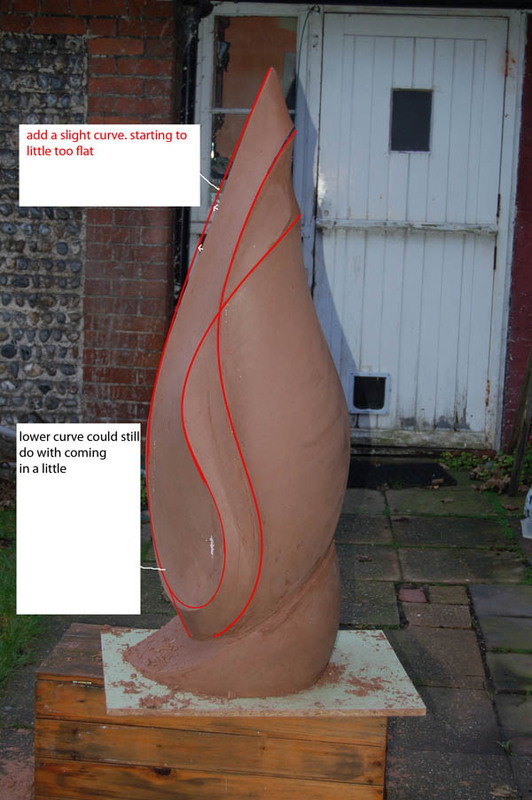 Sculpting started on the model and these images are several stages in. It starts out with a block of blue foam which is then shaped to be within an inch of the desired form and them covered in a more editable clay coating to save on cost and weight. 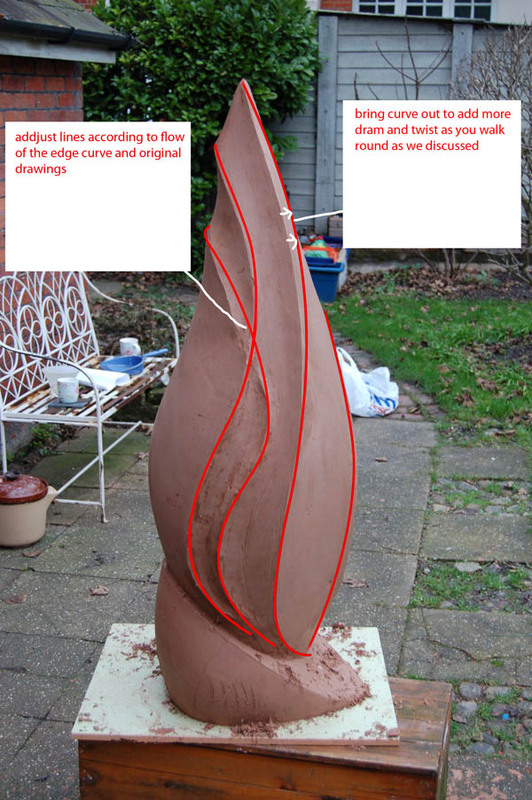 The Sculptor sent me update images of how the form was progressing relative to my drawings and reference images. I was then able to gauge how the project was coming along and send back my comments and edits. 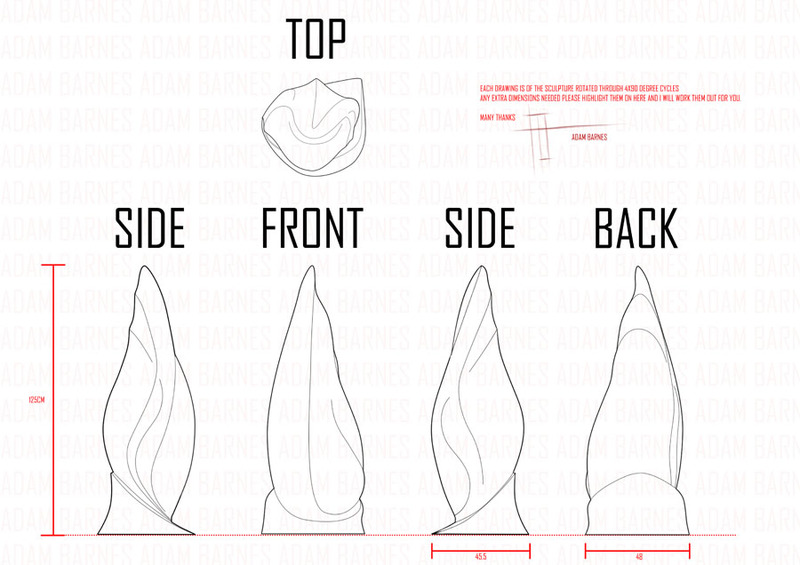 As you can see the suggestions are very slight but very important and ultimately take a design from sloppy to tight. One of a few trips over from Denmark happened where I was able to give more immediate feedback on the design. 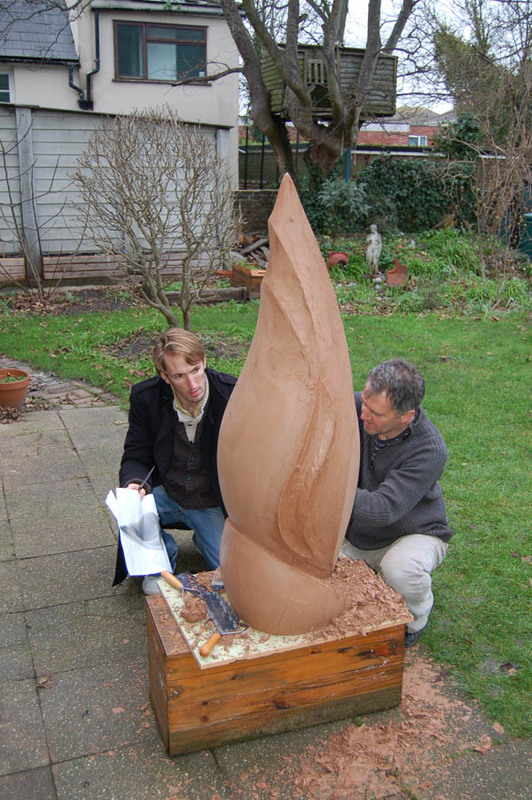 Here you can see us working on how to perfect the sculpture together. 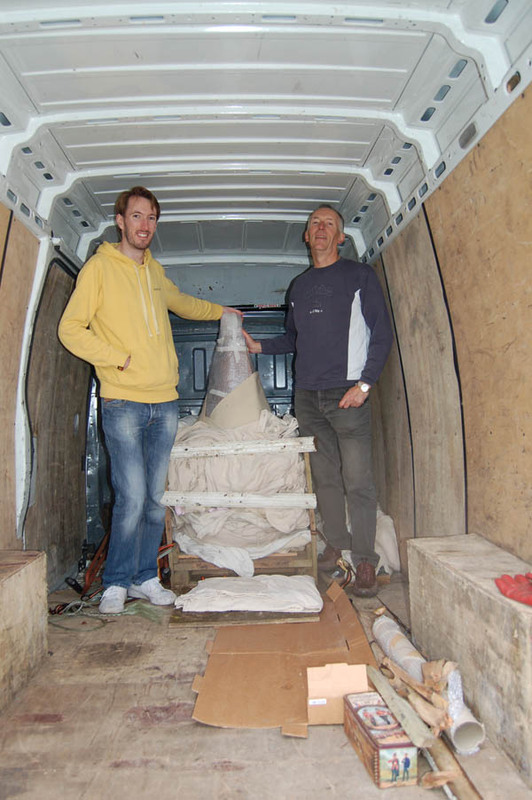 Sculpture finished and loaded in the van to be driven home. Me and dad stand ready to start the next stage of the journey.